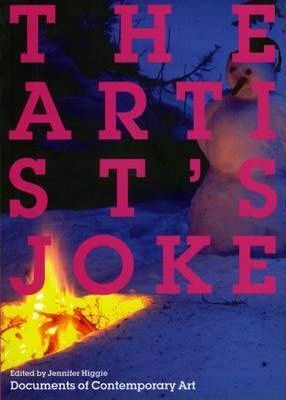 This title traces the role humour plays in transforming the practice and experience of art, from the early twentieth-century avant-gardes, through Fluxus and Pop, to the diverse, often uncategorizable works of some of the most influential artist's today. Artists' writings are accompanied and contextualized by the work of critics and thinkers including Freud, Bergson, Helene Cixous, Slavoj Zizek, Joerg Heiser, Jo Anna Isaak and Ralph Rugoff, among others. Artists surveyed include: Leonora Carrington, Maurizio Cattelan, Marcel Duchamp, Marlene Dumas, Fischli & Weiss, Andrea Fraser, Guerilla Girls, Hannah Hoech, Mike Kelley, Martin Kippenberger, Barbara Kruger, Sarah Lucas, Paul McCarthy, Bruce Nauman, Claes Oldenberg, Raymond Pettibon, Francis Picabia, Pablo Picasso, Richard Prince, Arnulf Rainer, Ad Reinhardt, Ed Ruscha, Carolee Schneemann, David Shrigley, Robert Smithson, Annika Stroem, Kara Walker and Andy Warhol. Writers include: Hugo Ball, Henri Bergson, Andre Breton, Helene Cixous, Sigmund Freud, Joerg Heiser, Dave Hickey, Jo Anna Isaak, Ralph Rugoff, Peter Schjeldahl, Sheena Wagstaff, Hamza Walker and Slavoj Zizek. Introduction; Playful Judgements; Pop Goes the Weasel; Punchlines; Infinite Jests; Biographical Notes; Bibliography; Index; Acknowledgements. Jennifer Higgie is the co-editor of frieze magazine. She has published writings on such contemporary artists as Ricky Swallow, Magnus Von Plessen and David Noonan.